We lucked out this morning with our plan to show up at the train station first thing for tickets that had us leaving less than an hour later. 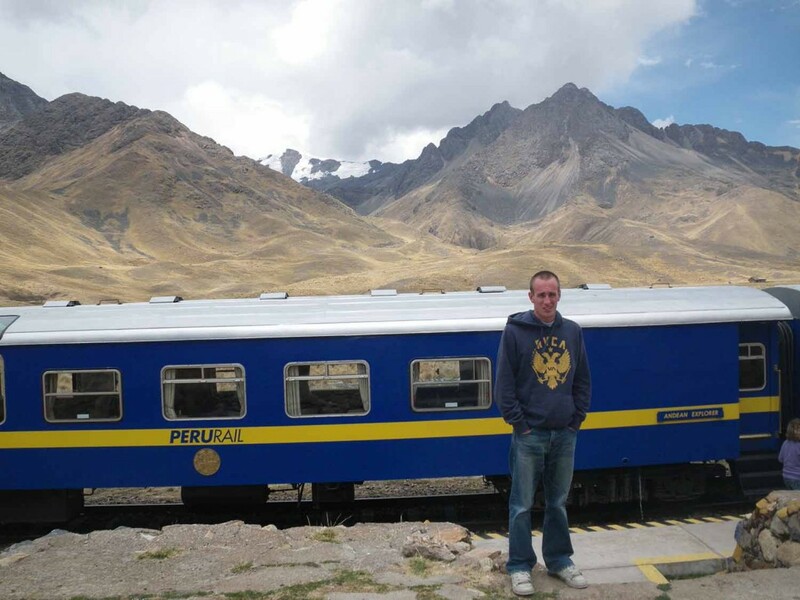 There is only one train from Cusco to Puno, the Andean Explorer, and its not cheap, but it was an experience we wouldn’t have gotten on either the bus or by plane (our plan B). Picture a first class frontier looking interior with wood paneling, cozy armchairs three across, pressed cream linens on the table between you and your travel mate, complete with black and white photos on the wall, ambient lighting and table lamps, and a vase of fresh flowers. 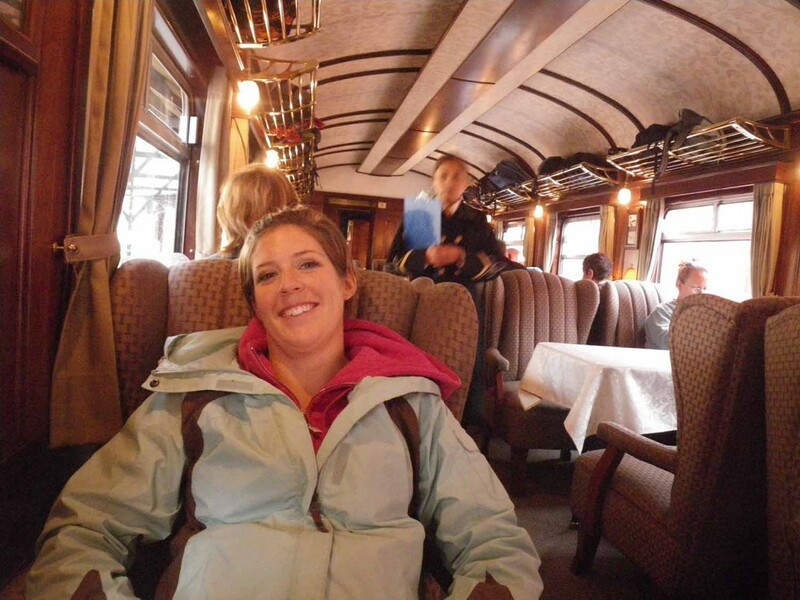 There were three dining cars, but at the back of the train there was a bar area with smaller seats, and an open section where you could sit facing the window on a bench seat, or hang off the back for a great view of the train tracks and the passing scenery. There was pisco sours, an alpaca fashion show, and another mariachi-type band that entertained us in the morning. After some snoozing, which was completely unavoidable due to high altitude and sleepy train syndrome, we had lunch. Lunch was served as a three course fancy meal, however some appeal was lost when the food came rather chilly. The appetizer was some sort of gourmet green swamp sludge (spinach cream soup), then chicken or veggie lasagna for main course, and some fruity-nice-looking-but-not-so-tasty fruity mousse desert. Presentation was great, with the servers placing all food together all at once after speed walking down the aisle with their plates in hand. Tea was served with mini-snacks after some champagne and O.J. We arrived in our destination of Puno just in time for a great view of Lake Titicaca and a booming thunderstorm with pouring rain. We caught a shared cab with a couple from our train, and made our way to our hotel, which we didn’t have a reservation for, and were lucky enough to get a better hotel rate than expedia. There was no walking around tonight, as we possibly made a bad food choice yesterday at the local market; a strawberry smoothie, street vendor style. It wasn’t the milk, but the strawberries I’m sure, which I thought twice about when no one else was having that kind. Should have picked the orange smoothie instead. Hello, pepto bismol. 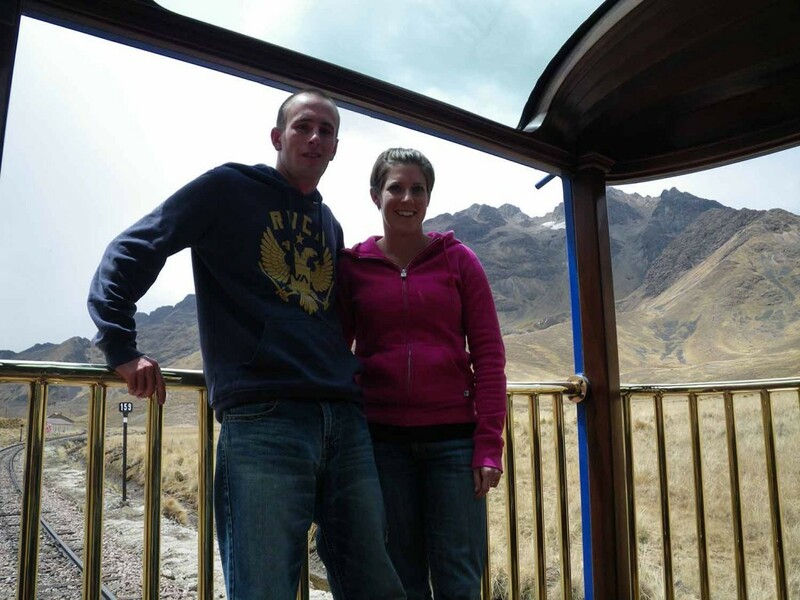 Tomorrow, we head out on a two day tour of Lake Titicaca complete with a homestay with a local family. No running water or electricity for this trip, so don’t count on a blog for a couple of days!